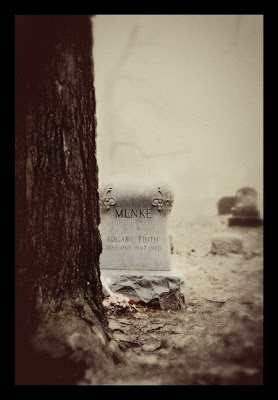 Anyway, I love her skills, and I especially love her pictures of a Quincy, IL cemetery. Check it out! P.S. Yay for Halloween and that it's almost over! Now... let's celebrate the real holidays! Eggnog anyone? I am not a fan of eggnog but I will take a cup of Christmas anyday! I think I might start having a "Yay! Halloween is over" holiday. I just barely saw the comment you left on my blog about Leigh's show! Isn't is such a small world that I follow Kelly's blog and now Leigh is dating Mike? He's such a great guy. They seem really good and happy together. I love Eggnog. Yum! Very cool photo. steal any time, and how old is Maddy again? smile.